Yesterday was Finland's 100th Independence Day. There have been special events all year to celebrate "Suomi 100" (Finland 100), and the logo is stamped on just about anything Finnish you can buy at the store these days. 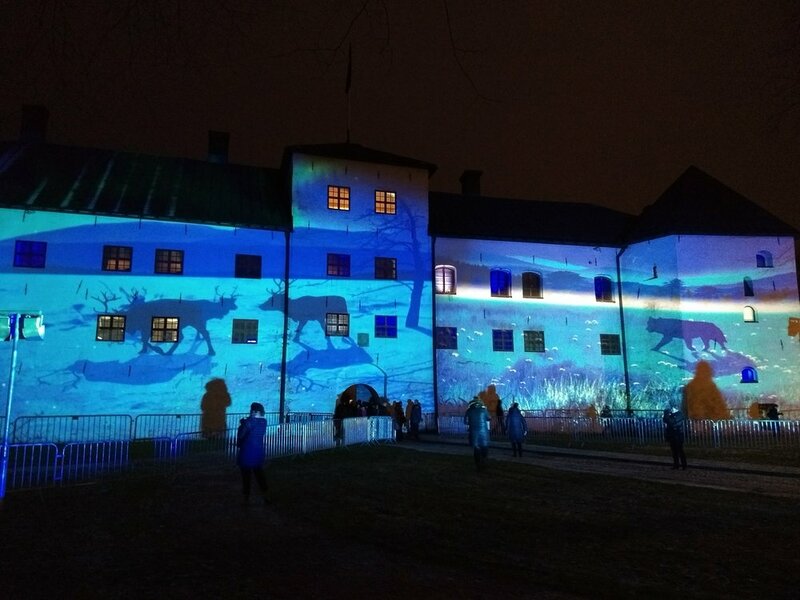 We celebrated by going to see the special light exhibit at Turku Castle (one of several monuments around the country that was lit up in white and blue), doing an orienteering course downtown that focused on Turku's history, and tucking in to watch Linnanjuhla - a three-hour reception at the Presidential Palace that consists entirely of President Sauli Niinistö and his wife shaking hands with notable Finns. Except this year - plot twist! - Jenni Haukio (Niinistö's wife) stepped out for the second half of the reception. She is seven months pregnant, and standing for that length of time with her every move being broadcast on live television cannot have been easy. The Linnanjuhla was cosy and the castle lights were beautiful, but my favorite was the orienteering downtown. The organizers really outdid themselves with a fantastic course that zig-zagged around central Turku and brought us to all kinds of statues and plaques and buildings and nooks that I have never noticed before! It helped that it was a gorgeous day - blue sky, puffy white clouds, and fresh snowfall.